In the sport of golf, there is a wide variety of different products in the industry to consider. This is very true when it comes to equipment and gear. With this in mind, we are proponents of the right gear and being knowledgeable about the type of equipment and products that you need. It is crucial to know exactly what kind of clubs you need and the right design and style of club that is right for you. 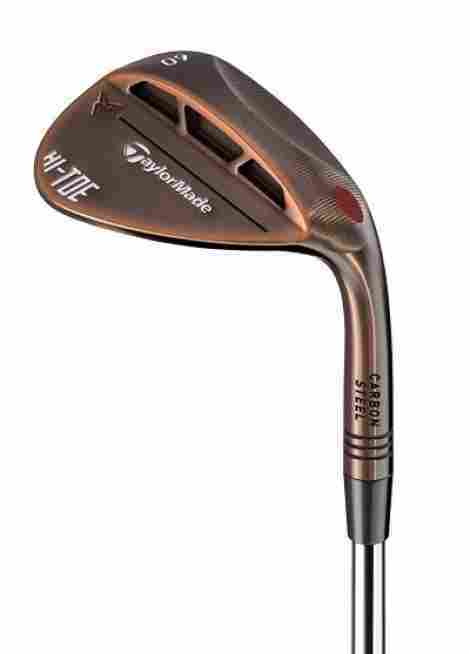 For example, fairway woods will be very different than wedges or drivers. While you may know the difference between them – you may not know precisely when to use one over the other, especially when we toss irons into the mix. Now, to kick off this list, we want to mention that this brand is one of the leading brands in the golf community for their expertise, their design qualities, their overall product value, and tremendous product quality. With that, they are easily recognized as one of the top brands to consider in the golf community. So, without further wait, we want to share with our audience the top ten best TaylorMade Clubs. Let’s begin! As the first club on our list from this brand, we want to say that TaylorMade has excelled in creating some of the most dynamic and unique clubs in the industry. Their products are of the best quality, they have excelled in creating value to golfers worldwide, and part of it is due to their unique designs, some of which we will introduce in this club. 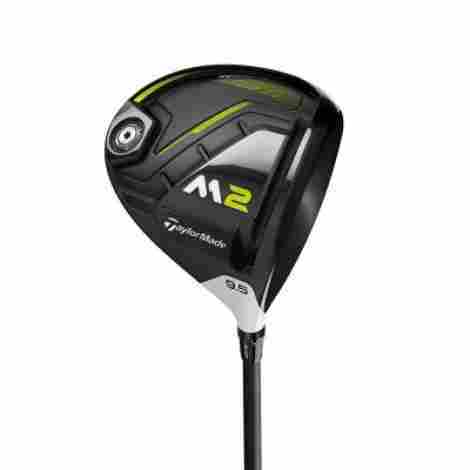 We want to share the TaylorMade 2017 M2 Men’s Driver 460cc and two features to consider this product. This particular product has a unique design that is designed to increase the forgiveness and flexion across the clubface. With that, it is designed to generate a high launch and a low spin shot so individuals can achieve a more massive distance. This design is known as Active Speed Pocket and it is 3x more active than the original M2. With this said, individuals can expect a high-quality shot every time they use this club due to the unique clubface design. This particular product is designed with what is known as some of the most premium features in the industry. For instance, this club is designed with a Fujikura XLR8 Pro Stock shaft that also includes over thirty different no-upcharge shafts. Alongside this, his product has a dual feel grip and an ultra-light aluminum body that is designed to give individuals a lightweight quality experience. With this, it is important to note that individuals can select between different flex’s, shaft materials, and of course loft degrees. To discuss cost and value for this product, we see this shaft as one of the highest quality shafts in the industry. It is designed for expert value and it is designed to be of the highest material quality design. With that in mind, individuals can expect that this product is designed to withstand the test of time. Overall, this product is priced according to the value that this brand gives its users and it is important to note that this brand is known for premium features and high-quality materials. Multi-material construction that saves weight. Geocoustic Technology with advanced sole shaping. Deeper more active speed pocket design. Premium features and options available. This next product on our list is designed for quality use and more speed and distance. 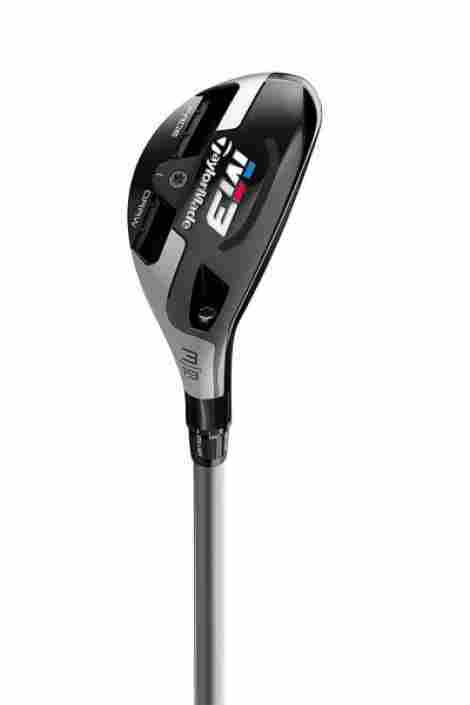 With that said, individuals will find this fairway wood to be of the best value and design benefits. We want to share with our audience the TaylorMade M4 Fairway Wood and two specific features to consider of this unique item. With plenty of variety to choose from and a high quality build quality, this is what individuals can expect from this club. When it comes to clubs, this brand knows premium quality features. With that, we can say that this item is of the highest quality manufacturing design and it is in particular, designed for optimized ball speed. With this club, individuals can expect a distance shot that will get you closer to the green in no time without losing control of the club or the ball. This is due to an ultra-strong Ni-Co 300 steel face insert that creates a more optimized impact. This product has what may be one of the highest quality crowns in the industry. This club has a five-layer carbon crown that creates a lower CG by saving weight in important areas. It saves roughly about 8 grams of weight compared to a steel crown. However, the benefits of this design are what it is the most important part. The benefits of this design make the product have a higher launch and reduces spin while in the air. As we have come to expect, this brand produces quality products geared towards the golf course and this club is one of them. Now, this item comes with a wide variety of different flexes ranging from ladies to senior, stiff and even x-stiff. With this in mind, the overall design has different configurations and individuals can select from a 3 wood to a 5 wood and 7 wood. For the price, individuals can expect one of the most premium fairway woods available. Speed pocket design made for durability. Creates ball speed across the clubface for better distance. Has better forgiveness than other products. MOI and perimeter weight distribution. Ultra-strong ni-co 300 steel face insert. Allows for optimized ball speed. Geocoustic technology with a low-profile shape. Not forgiving on off centered hits. Will take practice to learn. The last two products we shared on our list are definitely for more seasoned golfers that want an expert quality golf club. This product, although professional in quality, is a great fairway wood for individuals that are not amateurs but also not in the pro-leagues yet. 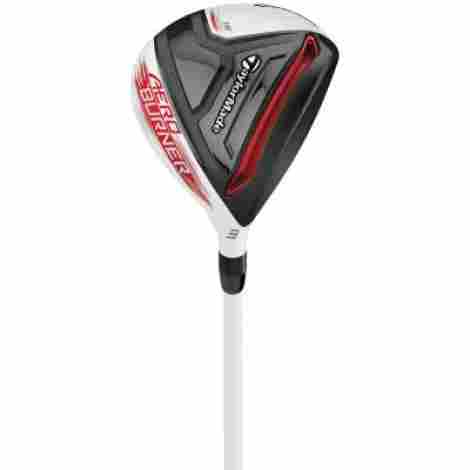 We want to share the TaylorMade Men’s AeroBurner Fairway Wood and two unique features to consider this excellent quality product. Here are two benefits to consider this item. This product has the speed pocket design that we talked about in product number one. This speed pocket designed is a particular design that enhances the sweet spot of the club and also reduces spin on specific shorts. With that said, it is designed to increase the speed and distance of the shot while also allowing a more seamless quality performance shot on the course. We want to talk about the design of this particular fairway wood. This product happens to be one of the most appealing designs in the industry. This item has a new aerodynamic shape with a shallow face and a raised center crown. Alongside that, the most notable aspect of this product is the new matte white finish PVD face that includes a linear AeroBurner Crown graphic that makes alignment very easy. With this, individuals can expect the design of this product to look very modern and appealing. In discussing the price, benefits, and the features of this item, we want to say that it is a specifically designed for individuals that want masterful work with lightweight use. This club has a regular or stiff flex option and different configurations to choose from. What stands out the most other than the benefits is the overall value of the product alongside the stylish design. For the price, this is a great addition to any golf set. Aerodynamic shape with a shallow face raised in the center. New matte white finish design. AeroBurner Crown graphic makes alignment easy. Individuals have mentioned their clubs to be offset. We want to share with our audience what may be one of the most stylistic putters in the industry. 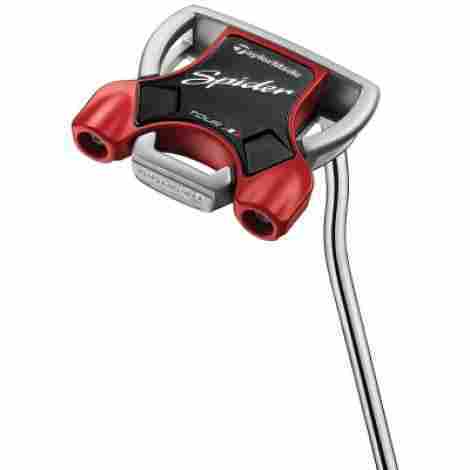 This product is known as the TaylorMade Golf 2018 Spider Putter and we want to share two unique benefits of this item. This product uses a very unique material composition to make up the overall framework of the product. This club is designed with a lightweight aluminum body and a heavy stainless-steel ring that allows for a higher MOI. With that, it keeps the face square to the path, allowing for a steadier quality shot and more control. This item is designed with a very unique arc structure design. With that, the benefits of this design are that it allows for improved alignment on specific shots as well as connects the putter head to the path much better. With that in mind, another great benefit is the fact that it comes with three sight lines that improve the overall putting shot. When discussing cost and value for this putter, it is important to note that the Spider Putters from this brand happens to be of the highest material value and quality. With that said, this product is designed for expert quality use and individuals can expect this putter to be one of the most premium putters in the industry. This item is used by tour professionals and seasoned players that want an excellent quality product. Spider arc geometry for better stability. Soft surlyn pure roll insert. Arc structure with three sight lines. One of the most unique designs in the industry. This next club is designed to be one of the most elegant and beautiful by the brand and in the industry. In fact, we can guarantee that individuals will feel a sense of confidence and power when using this product. Designed for quality benefits, we want to share the TaylorMade Men’s RBZ Rescue and what makes this product incredibly unique. With a new satin black finish with an elegant detailing that improves alignment, individuals can expect this product to be a high-quality design. This product has one of the highest quality profile designs in the industry. This product has a shallow profile design with an improved sole geometry that optimizes turf and club head interaction. Overall, this allows individuals to have more carry and increased distance for higher launches as well. With that said, the lightweight design allows for increased speed and optimized launches. This product is designed with a strategically positions mass pad. This design creates a better energy return on impact alongside an optimal launch and feels when in contact with the ball. Alongside this, there are plenty of configurations and three different flexes available to choose from. If you want a lightweight club that is designed to be of the best material quality and design. This is it. To discuss cost and value for this product, we see this club as being high quality and highly durable. Overall, we think individuals will enjoy the quality of this product alongside the overall quality design that makes it have better distance and optimized interaction. With that in mind, this product is lightweight, has increased speed, and it is strategically designed with a mass pad that creates better energy return. 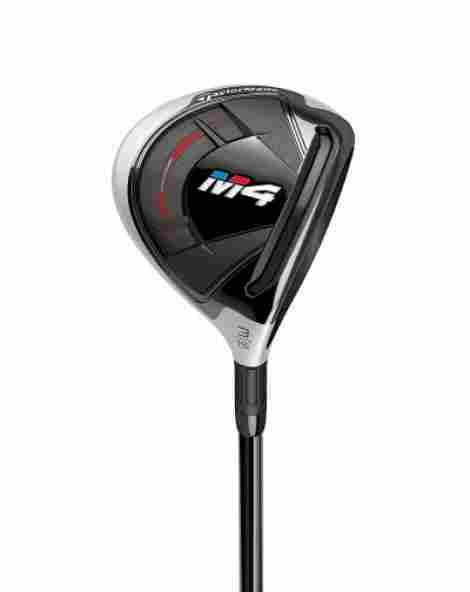 For the price, this is a great club to consider. Shallow profile and improved sole. Optimized interaction with the turf. Senior stuff is normally out of stock. Not as much speed as one would expect. This next quality club is designed to produce more confidence and overall energy return for the individual using the club. Designed with optimized high-quality features, we want to share the confidence-inspiring TaylorMade M3 Hybrid Rescue Club and two unique features to consider of this particular product. Designed with a two-tone crown that allows for proper alignment on crucial shots, this is the club to get. As we discussed before the benefits of the speed pocket design, well this product has that particular designed enhanced. The speed pocket of this product is designed to increase ball speed but lower the overall spin for added distance. With that in mind, the speed pocket is designed to increase the size of the sweet spot so individuals gain a better and more interactive experience with the club alongside more forgiveness. This particular product has a very unique personalization design. The design of this club includes three loft sleeves for an adjustable lie and loft setting. Alongside this, the Track System Now design allows for three grams more weight than previous models and the 30g moveable weight allows individuals to have a quality experience when using the product. To discuss cost and value for this product, we see this club as a great and quality addition to any individual that wants a lightweight and unique club. If you want a confident inducing club that is designed for masterful quality benefits and plenty of sportsmanship features, this is it. With that said, we can guarantee this product to be of the highest quality design due to the overall craftsmanship. The price does make it more costly than other brands, but it is well worth it. Speed pocket design for lower spin. Personalization three lost sleeve design. Not as forgiving as other clubs. As the next club on our list, we are coming towards the end of our list and we want to share a quality product designed with plenty of benefits. This is the TaylorMade 2018 Women’s Kalea Ultralite driver and we want to share two features of this ultra-light driver and what individuals can expect. This is considered a women’s club due to the ultralight design, and with that, we want to share with our audience what makes it a great addition to a women’s club set. This particular item is designed for individuals that want a very high-quality club that is designed to get the ball in the air quicker. The low center of gravity design ensures that individuals will have a quality experience when using the product. Most importantly, the low center of gravity guarantees a quality experience alongside a faster energy on return design. Each Kaela club is particularly designed and optimized with a particular weight, length, and loft design. Alongside this, the design is custom made and designed to have a unique quality design that is highly personal and very high quality. More so, each club has its own personality, with a quality club face design, speed pocket, and overall quality benefits that maximize distance and ball speed. This particular women’s club is worth considering if you want an expert quality product that is made and built to withstand the test of time. With that said, everything from the Ultra lightweight shafts to the speed pockets makes this product worth considering. With that in mind, this club is priced very high and individuals can expect a return on value benefit for the overall price of the product. Increased ball speed and maximum carry distance. Each club features individually optimized weight. Low and deep center of gravity. This next club on our list is an expertly crafted club that has a very unique and thin design. This is the TaylorMade Milled Grind Hi-Toe Wedge and we want to share with our audience why this product is the best performance product on our list and ensures maximum quality shots around the green. Here are two benefits to consider this club. This product has a very unique expanded toe area design that is used to enhance the quality of the spin across the club face. With that, the expanded toe area has a full-face scoring line design that delivers maximum quality spin and benefits for the design. With this in mind, individuals can expect the overall design to be highly beneficial. This product has a weight distribution design that allows for a balanced designed that allows for maximum weight distribution on any hit. This item has a three-cavity design in the back of the sole that balanced out the overall weight that is added to the top of the club. With this, it also has a high bounce leading edge design that is a concave sole grind that provides versatility around the green. To discuss cost and value for this specific item, we want to share with our audience that this club actually has what may be one of the finest designs in the industry. This product has a highly durable and a quality design that is guaranteed to last the test of time and most importantly offer endless value. Now, the price will very be depending on the size and hand orientation chosen, so it can get pricey. However, the overall value for this product is unsurpassed. Lastly, the bronze design is highly appealing. Very stylish and appealing design. Expanded toe area along the full face. Three cavities in the back. We have talked about this putter before and we are eager to share it on this list of the Top Ten Best TaylorMade Clubs. We want to share with our audience the Big Red Daytona Putter and two unique features to expect from this expertly crafted product. It is slim, designed for quality, and highly durable. Here are two benefits to consider. This product may be one of the most stylistically beautiful designs for a putter. A putter tends to be one of the most unique designs in the industry. With that, this product has an effortless design with a beautiful matte finish and a red line that is noticeable and high quality. One of the biggest benefits of a putter is the sightline. This product has a high-quality sightline that makes alignment easier. The raised sightline is also painted red and allows for individuals to effortlessly see what the best club face space is to make an impact with the ball. 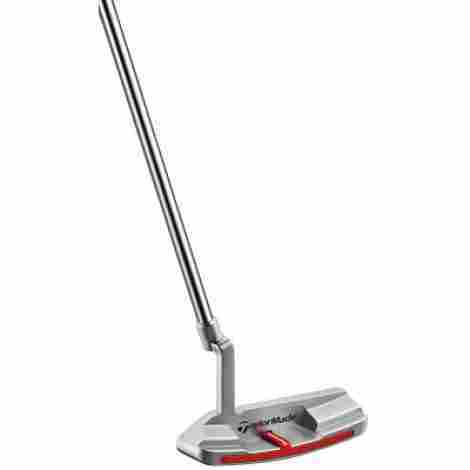 What is most impressive about this product is that it is nowhere near as costly as other putters in the industry. This product has a high-quality design that is durable, appealing, and made for performance benefits. With that in mind, this item offers two hand orientations and two styles available. Overall, it is a great putter worth considering. Not as high quality as other putters. As the last club on our list, we want to share a quality product that has a unique design and is worth considering. This club has SpeedFoam technology that is designed for groundbreaking distance and a high-quality design that guarantees overall better energy return and ball interaction. 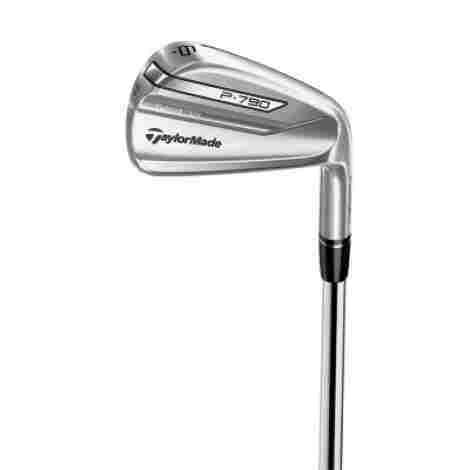 We want to share the TaylorMade Golf 2018 P790 Men’s Iron Set and two features to consider this product. This product has a quality design that includes strategically placed tungsten that allows for increased inertia. The ultra-thin internal leading-edge design has a cut-thru speed pocket that allows for better forgiveness and overall construction benefits. With that, it has a hollow construction, so individuals can expect an optimal weight placement design as well. This product has one of the largest configurations available. Individuals can pick between two different shaft materials and different flexes alongside configurations as well. With that, there are also two hand orientations to choose from, making this item a high-quality club that is highly durable and quality design. To discuss cost and value for this product, we see this club as being a great addition to any golfer. Now, it is important to note that this item comes as an iron, so the price is going to reflect the fact that you are getting multiple irons. Overall, the design is of the highest value and individuals can expect it to be well worth it. This set is elegantly designed, custom built with quality benefits, and strategically designed for better ball speed, spin, and energy return. SpeedFoam pushes the limit for groundbreaking distance. Produces a soft feel and responsive design. So, now that we have gotten to know the top best TaylorMade clubs, we want to hear from you. Which of these is your favorite? It is important to keep in mind that many of the clubs that we have shared are actually intended for professionals. Therefore, it may require more research to find the best quality product for amateurs by this brand. This manufacturer is primarily known for producing products for professionals. With that in mind, if you want to conduct your own research on this brand and their clubs, we want to share with our audience the criteria to evaluate the best TaylorMade clubs. This criterion was our method for which we ended up choosing the best products to include and individuals can use it to identify the best club as well. When evaluating the best quality glove to consider, the first criteria on our list is all about the purpose of the product. For us, evaluating the best product included us identifying the purpose of the club we were looking for and the overall quality. For instance, if you are looking for a putter, you want to ensure that it is designed for quality use and that the overall quality of the product is of the best value. With that in mind, we want to share different elements to consider when it comes to the quality of a club. The grip is one of the most important factors because it is what will determine the feel of the product and how good of traction you will have with your hands. With that said, this brand offers different styles of grips ranging from thick to thin, so this is an important element to consider. As far as another aspect to consider the overall quality of the product, the shaft is plays a critical role in one’s performance on the course. The reason being is that the shaft will determine the overall weight and flex of the club. Different shaft materials include steel, fiberglass, and stainless-steel and they all have different benefits and flex as well. The head of the club is another important element to consider when selecting a quality club because you want to ensure that it has the right design properties for the object that you are desiring. Now, when it comes to this brand individuals will notice that the designs of their clubs are of the most premium value and they use some of the smartest innovation when picking out a quality product. When picking out the quality of a product, all of these are the different aspects to consider. Now, let’s move onto the next criteria. This is a rather simple criterion but crucial when picking out the right club for you. Durability is crucial in ensuring that the product is of the best value. Aspects to take into consideration as far as durability include the quality of the grip, the shaft, the connection of the head to the shaft, and other different parts of the club. For instance, some clubs will have a rust-resistant layer that ensures the product will be water-resistant. This is only one of the many different features that brands may include when crafting a quality club. In discussing cost and value, we want to share that this is an important factor to consider when selecting the right club for you. The reason being is that the value of the club will be determined by the build quality and cost. However, the cost is important to keep in mind depending on the level or degree of experience you have with the sport. For instance, amateur golfers do not need the highest quality club designs. Individuals that are new to the sport can benefit from a starter set of golf clubs while professionals end up looking for more high-end specifications and design qualities that brands such as this supply. As the last criteria on our list, variety is an important factor that we keep in mind because it allows us to identify the best quality products and to give our audience a different selection of products to consider. So, when selecting the best quality clubs, it is important to have a variety of different items worth considering and then measuring the overall value of the product. Other aspects to keep in mind when selecting the best variety is also the reviews of individuals and what the audience has to say about that particular product. With these four criteria’s shared, we want to move forward and answer some of the most common questions that individuals are having when it comes to this brand. Let’s begin! Q: What is the best shaft material for a beginner? A: This really all depends on personal style and comfort. Many individuals prefer fiberglass to start because it is much more lightweight than other materials, while also being equivalently durable. Q: Do these clubs come with a headcover? A: Yes. Many clubs by this brand include a headcover. Check out our recent buying guide all about the best headcovers from this brand! Q: What does the ‘Flex’ of a club mean? A: The flex of a club is what determines the overall stiffness of the shaft and how it will respond when an individual hits the ball. With this, there are different types of flexes ranging from stiff to ladies and senior. Q: How do you clean a club? A: To clean a club, it is important to clean it with soap and water, regroove it, and make sure you dry it appropriately. With that said, there are club washers and different types of products that will help regroove the club.